Shocking to see how many weeks I’ve been away again. I’m trying not to be too down about my absence and failures to attend my blogging needs and wants. I miss writing. Mostly I miss visiting to read the writing of others. I can see right now that the above image is out of focus and blurry. Often lately my visions been more blurred than that and I just can’t see if my snaps are in focus or not when I’ve taken any. I’ve stuck with my old and battered BB from years ago while i keep dropping things and avoided using my new mobile phone cam while photography is a useless pursuit in this phase. Adding Omega3-6-9 oil capsules to my nutritional plan might help a little but I’m sure as hell hoping I’m entitled to medicinal cannabis when they start prescribing it now it’s been decided. I functioned much better with that herbal remedy a few years ago but haven’t kept up with the compassion club and not sure if or where they run from these days. Out of touch and too exhausted to ask or go anywhere and not really wanting in case I/they get busted as a result. Ludicrous situation, although I understand the opposition also. Burn-out always seems to hit me in June and July even when I’ve not done enough to warrant it. 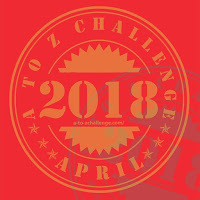 Ok, I read a lot of blogs during the A to Z Challenge in April, but lazing around reading and doing little else shouldn’t be so severely and completely exhausting – and I certainly didn’t tackle the amount of art work or research I’d hoped to cover for my own posts. I thought I’d got away with it and might sustain a reasonable level of blogging interaction. Not so. That seems to be the usual pattern since i started out in May 2015 and by June and July I was totally hopeless – I couldn’t get it together again until August. Maybe I need to plan for eight to ten weeks of summer acclimatisation and learn to anticipate and manage my limited health better. After almost four decades of trying to manage my limitations you would think I’d have achieved that by now! Well, I’m not meaning to gripe and whinge about my ails – it could be worse and for many others it probably is. I’ve managed to keep getting up and after eating more food than I had been able for a while I have at last put on some weight. Hopefully when I see my son he won’t be whittling at my skinniness. Eating deliberately fattening food might not be the healthiest plan in the world but struggling to intake 500 calories a day in the long term ain’t a good plan either and now at last my jeans aren’t falling down anymore. Saves buying smaller clothes while no energy for shopping and very little for online shopping either. I really don’t like shopping. I get more pleasure finding a button or bottle top or used bus ticket or whatever on the pavement than I do from shopping. Sometimes it’s a good thing not getting out much, although I’ve not picked anything up in ages even when I ‘found’ it. Too tired to bother picking something up. Really. Yes. I couldn’t believe I totally missed a product recall on some frozen veg from my supermarket. You’d think they’d have it glaringly obvious on their website for the next time you logged in to complete online grocery shopping. Nope. Luckily I only had a stomach bug impact once (a few weeks ago now) and had no idea it might have been the new and in-date-for-ages frozen veggies. I ate the entire remainder of the pack with no obvious ill effect, thankfully. I’d long since finished the way over date ice cream from last Christmas and that didn’t make me ill at all. I wouldn’t expect frozen vegetables to carry a bug like Listeria, but apparently they might. My son mentioned the product recall to me on the phone the day after I finished them, he assumed I would have seen it on the news. So now I know. And now I know I should probably check the food standards website at regular intervals and check the products I purchased aren’t on a recall list. But I’m not sure I can blame a tummy bug for these missing weeks, it’s just ME. And by the end of 999 whittling words that hopefully don’t come across as self-pitying I needed to add this sentence as I’m superstitious like that around word counts and 999 is inappropriate in this instance. There. [1034 at 15:36]. Anyway, I’ve started mapping out some ideas for next April’s A to Z. No last minute deciding to join in with barely a plan and scraping through to the end with a whole month of posts but an incompleted project… not having a project other than the posts will help too! Disappointed I missed the A to Z Roadtrip sign-up BUT it won’t actually stop me road-tripping around some more. All in good time – or anytime I can, without overdoing it. Hopefully. Well, none of this is what I came here to write but it’s an update of a sort at least. Hopefully none of my readers / blogging neighbours have been concerned at my absence. Again. Guess you’re used to it from me. Can’t wait to get over to your blogs for a good read and catch-up again soon too! Mine here had 6Gb of data ready with it, bought at special offer price in sale for £50, but topping it up with more data might be quite costly. Dunno about over there, I’ll see if I can find a good deal on amazon US site in next few days and send you a link. Depends of course of signal strength in your area too.